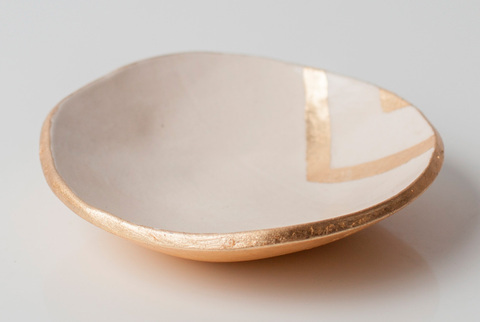 This small hand made dish is decorated with a partial zag pattern and gold leaf bottom. It is the perfect size to hold your little treasures. Hand wash.